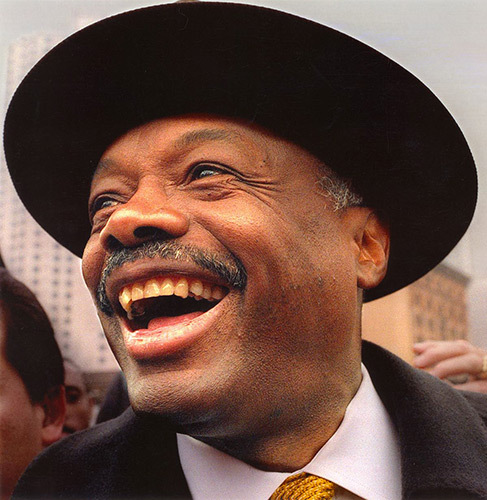 Two-term Mayor of San Francisco, legendary Speaker of the California State Assembly, and widely regarded as the most influential African-American politician of the late twentieth century, Willie L. Brown, Jr., has been at the center of California politics, government, and civic life for an astonishing four decades. His career spans the American Presidency from Lyndon Johnson to George W. Bush, and he’s worked with every California Governor from Pat Brown to Arnold Schwarzenegger. From civil rights to education reform, tax policy, economic development, health care, international trade, domestic partnerships, and affirmative action, he’s left his imprimatur on every aspect of politics and public policy in the Golden State. As Mayor of California’s most cosmopolitan city, he refurbished and rebuilt the nation’s busiest transit system, pioneered the use of bond measures to build affordable housing, created a model juvenile justice system, and paved the way for a second campus of the University of California, San Francisco, to serve as the anchor of a new development that will position the City as a center for the burgeoning field of biotechnology. Today, he heads the Willie L. Brown, Jr., Institute on Politics and Public Service, where this acknowledged master of the art of politics shares his knowledge and skills with a new generation of California leaders.